Athy, a Heritage town in south Kildare, situated on the River Barrow, less than 50 miles away from Dublin and with easy access to the Airport and seaports of Rosslare and Dublin. 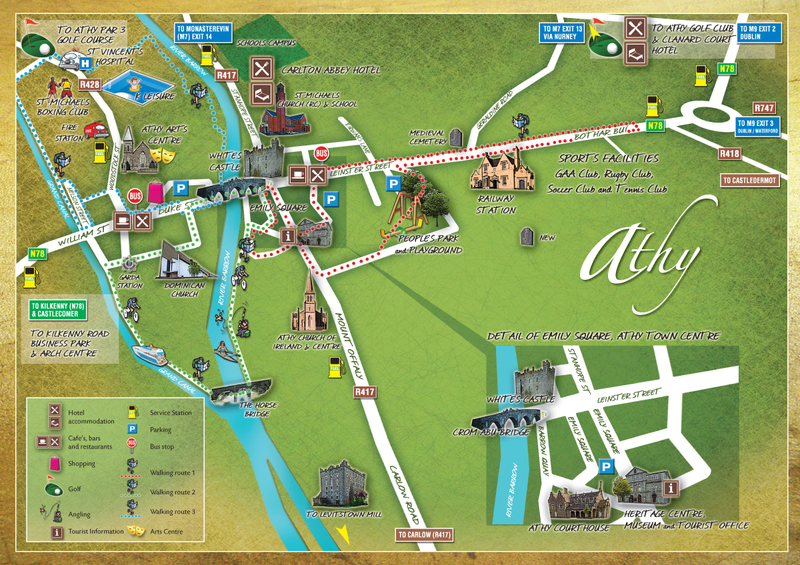 Athy is a principal business and commercial town and the main growth centre in South County Kildare. Athy is designated a secondary growth area under the Greater Dublin Development Plan . The town was considered a crucial element of the 2002-2020 National Spatial Strategy, linking the existing gateway of Dublin to its ‘hub' Kilkenny. The town developed in the late 1800s around the canal network and heavy industry followed. Athy is also served by the main rail line linking Dublin and Waterford and also by a provincial bus service which provides excellent transport to and from Dublin every day. With the help of local development organisations and initiatives, Athy has now embarked on a programme of regeneration and is looking to develop small and medium sized enterprise, while improving its ICT infrastructures and maximize its potential as a tourist destination. 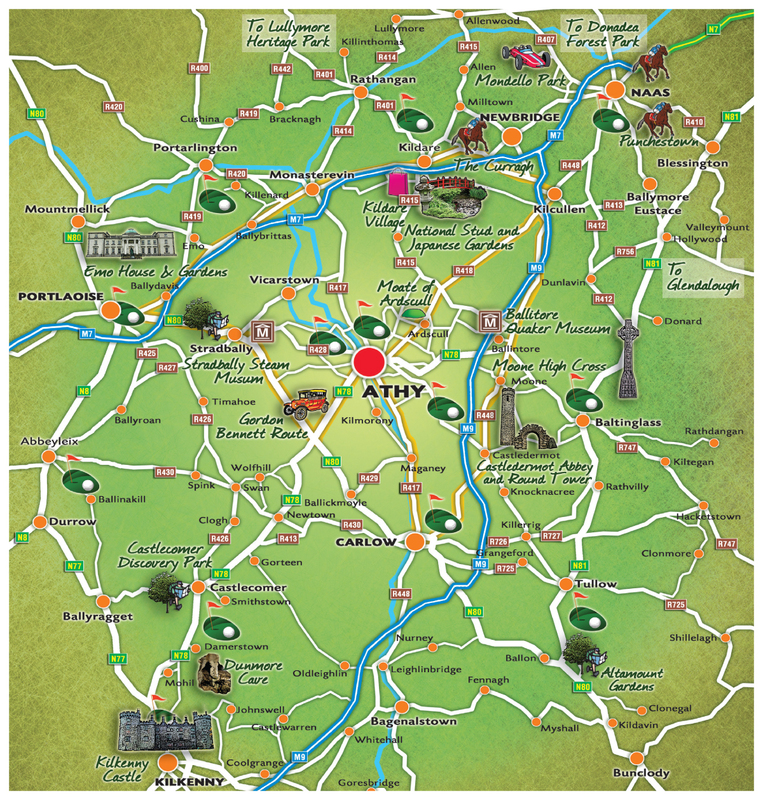 These aims will help promote Athy as a key economic location in the Irish midlands. The town is also served by the main rail line linking Dublin and Waterford and also by a provincial bus service which provides excellent transport to and from Dublin every day. Travelling from Dublin, Athy is just off the M9 at exit 3. Take the N78 directly into town, which follows on into Kilkenny. Dublin Airport is the nearest commercial airport with frequent direct bus and rail links to Athy.